KamBlog: Like your Burger well-done, really well-done? Like your Burger well-done, really well-done? The result is a soft, rich buttery bun with a unique texture, colour and flavour. 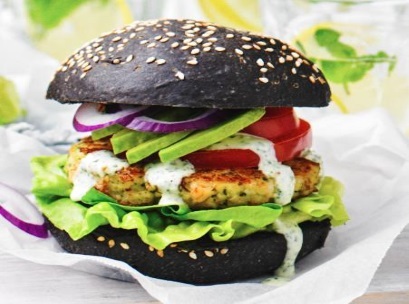 BTW, if you really want to make dieting easier try googling 'charcoal buns' and select 'images'.